As the winter festivities came to a logical close and the new year started pacing us, an onslaught of detox ideas began landing in our inboxes and field of vision. At the time when you and your body need to be nurtured, you are urged to join the gym & start eating clean. Even though the bombardment seems more subdued this year, with mental health books dominating the shelves at the booksellers, I thought I would start the year with a post about a new range of French skin supplements that was launched towards the end of last year, called Aime. 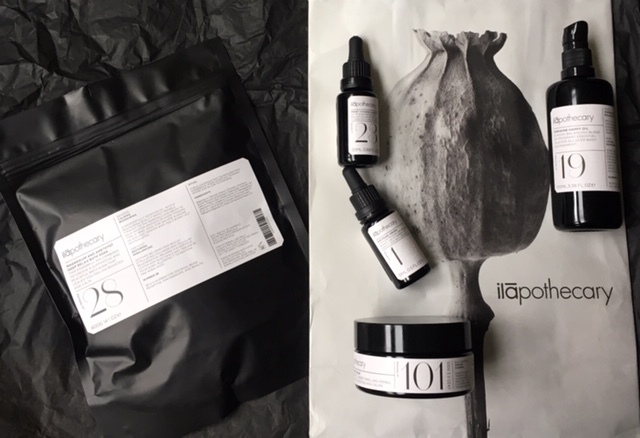 Mathilde Lacombe and Francois Morrier, co-founders of Aime supplements, want you to examine your skin, get to know it and address its needs from inside out. You would be happy to hear that the process has nothing to do with restriction, but rather helping you glow from inside out. Mathilde, tall & willowy, with big, beautiful eyes, is unmistakably French in her elegance (she wore simple black jeans and a chequered blazer over a cashmere sweater on the morning we met). She also has beautifully clear, even & glowing skin (I don’t think she will mind me saying that she is in her early 30s & has suffered from acne & rosacea in the past), making her a true testament to the efficacy of her skin supplements that she came to London to introduce to the British press. When you talk to someone who works in beauty or wellness industries in close proximity, you can’t help but examine their skin, wondering if you want to learn from them. Looking at Mathilde’s complexion in the morning light, streaming through the windows of Feya cafe, where press breakfast was being hosted, I thought to myself that whatever she does to her skin, deserves to be listened to & taken on board. While our genes & lifestyle play an important part in how our skin looks, how we look after its needs daily is no less significant! Mathilde has background in commerce (she was the founder of Birchbox and worked at French Elle in the past, as well as written a book ‘Une Question d’Equilibre’ in 2017). She met her business partner Francois over ten years ago, while working on Birchbox and he is the one who is gloriously responsible for the branding of Aime supplements (check out his Instagram account, as his interior design talent is no less special!). 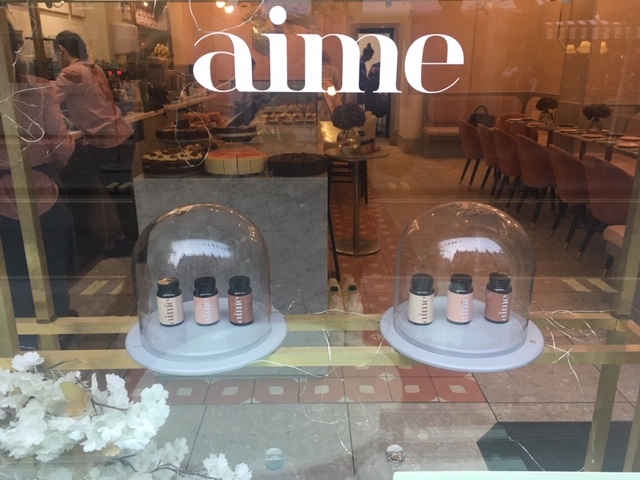 While appealing to the millennial & their penchant for all shades of pink, Aime branding & packaging appeals to older women as well, with its laconic attention to detail that makes you curious to investigate, rather then screams ‘look at me’. It took about two years to develop Aime and started with Mathilde’s own skin problems, particularly during her pregnancies (it’s hard to believe that she already has three small children, yet is hands on with her multiple businesses & travels daily from her home base in Reims to Paris for work). Skin problems made Mathilde quite self-conscious, so after using multiple skincare products with not much of an improvement, she ended up going to see a naturopath, who told her that before she will see any significant improvement in the appearance of her skin, gut issues would need to be addressed and laid to rest. A light bulb moment that gave birth to the idea of Aime! Aime attracted my attention for several reasons and the more I listened to Mathilde and prodded her with questions during the press breakfast (she is a very eloquent & engaging speaker), the more she won me over with her factual & logical arguments & story. 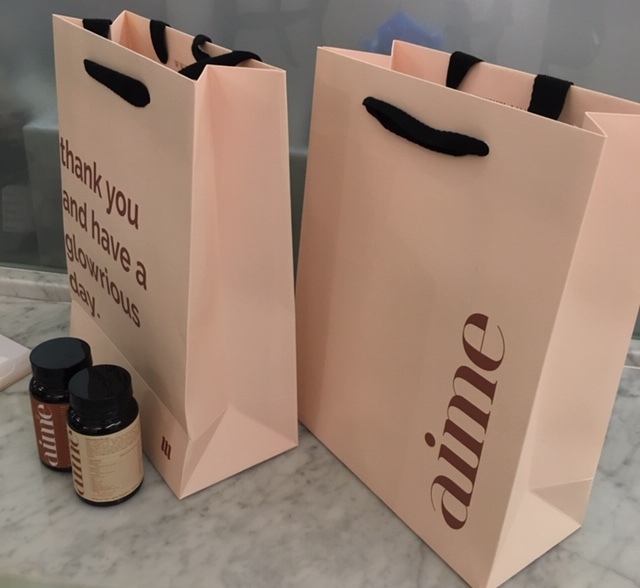 Aime trio of supplements (PURE GLOW, URBAN GLOW & FRENCH GLOW) address the inflammation within the body, something that’s drawing scientists, researchers and dermatologists attention more & more, in order to address the increasing number of skin problems women of various ages experience throughout their life span. 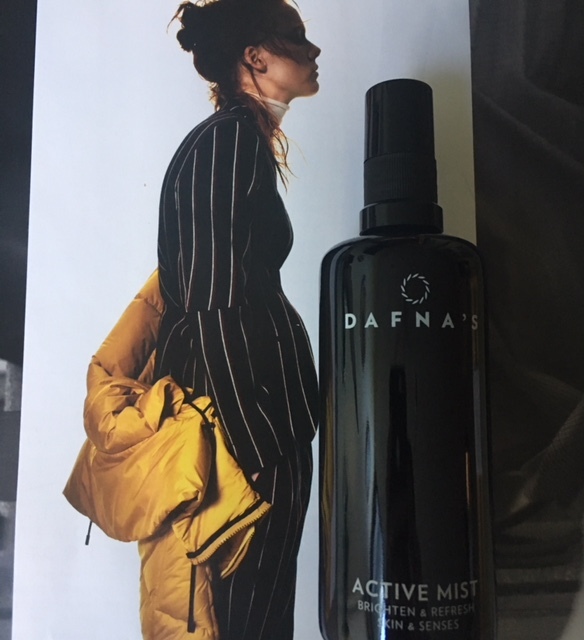 As summer seems to be deeper embedded in our minds and autumn settles in comfortably behind our windows, Dafna’s Personal Skincare launched a facial mist that promises to be skin ‘pro-active’, bringing multiple benefits with its every drop. You might not consider a face mist to be an essential part of your skincare routine, but depending on ingredients, it can offer multiple positives, like extra hydration, balancing the skin or brightening & exfoliating it. 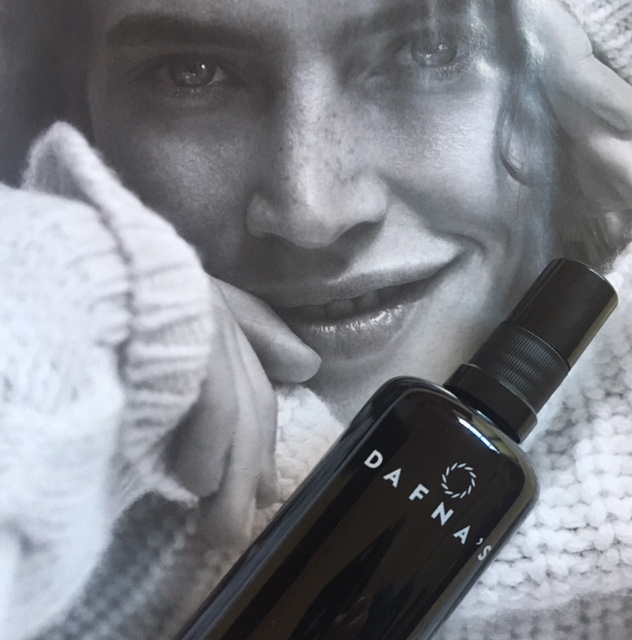 Dafna, brand’s founder, created an ‘Active Mist’ because she wanted to offer women a product that is easy to use, will hydrate and refresh the skin, whatever time of the year, as well as help fight photo-ageing process. 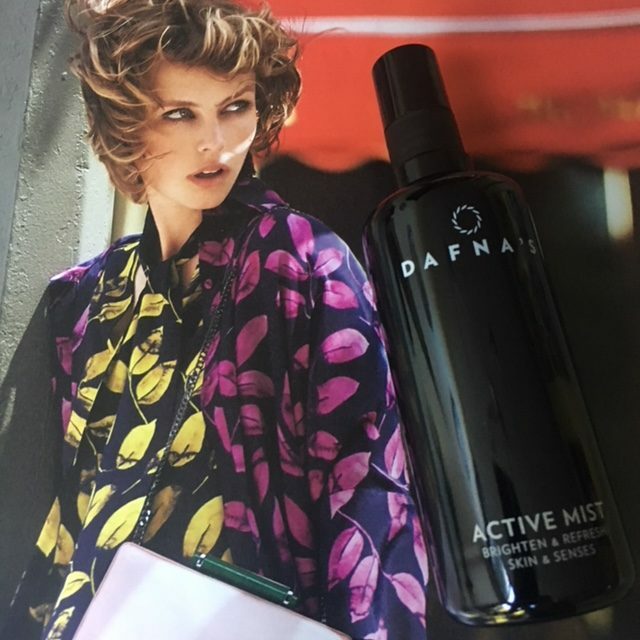 Why ‘Active’ was one of the first questions that I posed to Dafna and her reply made sense, as well as made me smile, as soon as I read it: ‘it actually must work on your skin and not just provide a watery aroma’. An active woman and her active skincare makes perfect sense, doesn’t it? One of the unique characters of this mist is the use of biotechnological advance of MelaCare (dry oil), which combined with plant extracts chosen for their specific qualities, helps make your skin look more toned & fresh, something that a woman of any age wants. A mixture of oils from three medicinal plants (Camelia Japonica,Oxalis triangular and Eremanthus erythropappus), were chosen for their anti-inflammatory, soothing and anti-oxidant benefits. MelaCare-oil inhibits melanin synthesis and with regular use you can expect to see improvement in the evenness of the skin tone and signs of photo-ageing. Tip: It’s worth doing a Vista machine analysis before starting to use the mist and then repeating it six or eights weeks after and compare the results. Calendula: calms and repairs the skin (Ayurvedic ingredient, good for Vata & Pitta types). Figs Juice: Greek figs provide hydration, comfort and coolness (Ayurvedic ingredient, good for Vata & Pitta). Geranium and Sweet Orange Essential Oils: contribute to emotional balance, helps reduce anxiety, relieve tension and irritability, as well as help balance the skin. Full List of Ingredients: Aqua, Camellia Japonica Seed Oil, Calendula Officinalis Flower Extract, Eremanthus Erythropappus Branch/Leaf Oil, Centella Asiatica Extract, Mimosa Tenuiflora Bark Extract, Pelargonium Graveolens Flower Oil, Ficus Carica Fruit Juice, Propanediol, Glycerin, Caprylhydroxamic Acid, Oxalis Triangularis Oil, Citrus Aurantium Dulcis (Orange) Peel Oil, Silica, Maltodextrin, Disodium Cocoamphodiacetate, Potasium Sorbate, Limonene, Linalool, Geraniol. I was interested to also get Dafna’s perspective on the need (or not?) of incorporating mists into our daily skincare routine and she thinks that ‘they only add to it. It’s not as if a mist is ‘a must’, like a cleanser, serum or moisturiser, but it makes the entire daily skincare routine ‘complete’. Instead of using water in the routine, you re-charge between the steps with a mist, which is much more delicate for the skin. Also I find mists to add a special glow, like the fine tuning that makes it more magical, enjoyable’. This mist can be used in two ways. As a Toner, when you spray it on a cotton ball or pad and then massage the face and neck with you (extend it, reaching behind the ears and getting read of the perfume residue that might build up over time on your skin, if that’s where you spray it normally). Then follow it with your usual face serum or moisturiser. As a Mist, spray it over your face and neck whenever you feel like it and don’t forget to take deeper breaths, inhaling the benefits of the natural essential oils aroma that brings comfort and freshness, as well as some balance into the moment in time. 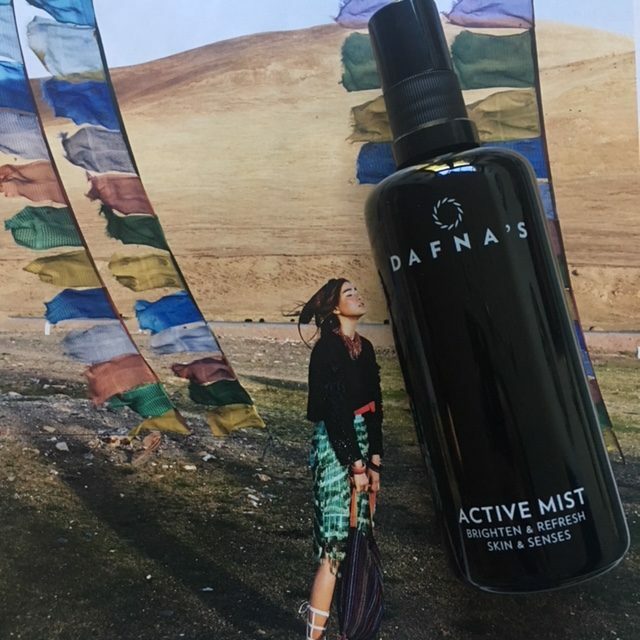 According to Dafna, she is ‘addicted to this mist…even I didn’t think I will use it as much as I do…and I use it like 4-5 times a day! Of course in my morning routines, but also 2-3 times a day to refresh my skin, to give it a beautiful glow, freshness, hydration’. 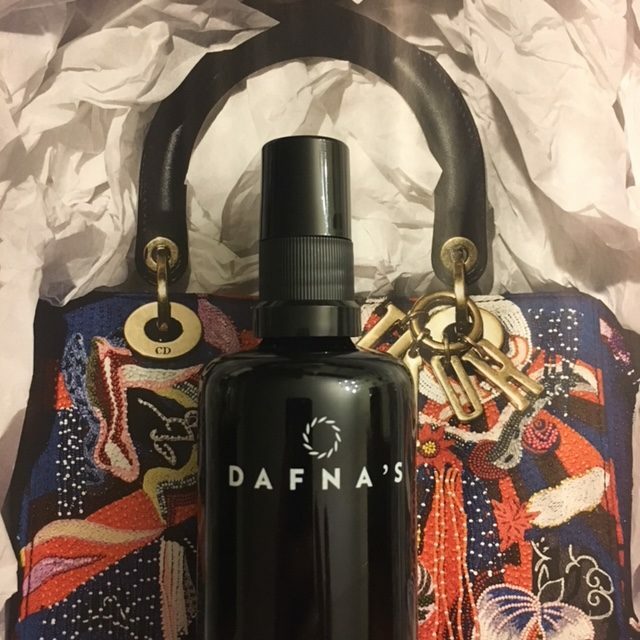 Even before Dafna shared this, I started doing the same – first in the morning, even though I normally don’t mist my face during my morning skincare routine. Then I started taking it with me and putting it on my desk, when I type and research for a prolonged period of time. Switching off for five minutes, misting my face, closing my eyes and taking deeper breaths allows me to re-focus the mind, switch a perspective or just slow down and empty my mind, not dissimilar to having a cup of coffee or tea – and who is to say you can’t do both, be it at home or in the office? The mist itself is somewhere in-between very fine and medium-sized in terms of the droplets that settle on your face and it feels very comforting just misting it all over – a little ritual that allows you to focus on your breath and just ‘be’, something that allows us to remind ourselves how good life is or to help us shift something negative or sad that has been preoccupying the mind. It makes my skin feel fresher, whether I do it after cleansing and before applying the serum/oil or moisturiser or when applying it on top of my make-up before leaving home. When I mist my face (liberally .) at my desk, my skin feels more awake and so do my senses, something that I really welcome, as I do spend a lot of time, like I am sure many of you, in front of my laptop. For me skincare is also not just something that I need in order to look after my skin and give it what it deserves. It is also an opportunity to slow down, even if only for a couple of minutes, appreciate the fact that I am a woman and be grateful for all the good things that there are in our world, before moving ahead to solve the problems that we all face, big or small, in our daily lives. As someone who has been writing about beauty products for many years I am not easily surprised when it comes to new concepts or launches. While my attention remains razor sharp, few products make it to my website’s ‘beauty section’, researched and tested for your attention, because I think life is too short and busy enough, and my intention is not to bombard you, but rather surprise, intrigue and hopefully delight, by showcasing things that I think are worth sharing. 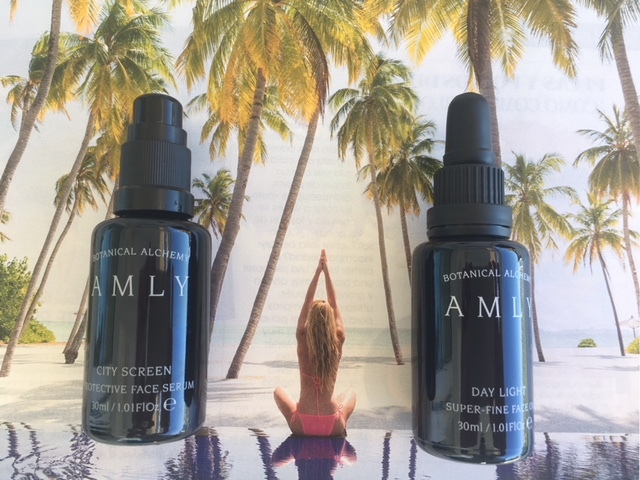 Amly is a British natural beauty brand that was started by two talented women, who focussed on creating Silver-Rich Face Mists with a difference. Kerry Moore specialises in Biodynamic Craniosacral Therapy and has background in homeopathy, while Lisa Smallpiece is a talented artist, who lives on an organic farm in Sussex, where the natural Amly spring is flowing through a wild-flower meadow. Their talents and knowledge compliment each other and allow them to create products that truly are unlike any other, created in small batches tonsure freshness and potency. Each of Amly’s three initial launches, spaced months apart, are incredibly impressive and prove that no good product is created quickly and on a whim, but rather based on individuality and synergy of quality ingredients and serving a specific purpose. A few months ago I received a press release that announced a trio of Amly serum collection launch, this time…. designed to combat the negative impact of modern city living. ‘Unexpected’ was my first thought and ‘wow’ was the first impression, when I opened the box from Amly that contained all three products. Below is a story behind each product and why I think they are unlike anything else you might have experienced before, even if you are a beauty connoisseur. Lisa and Kerry crafted signature blends of the finest essential oils and active organic flower compounds, designed to combat daily life challenges, notably damaging effects of pollution, sleep issues and keeping skin happy no matter your age. 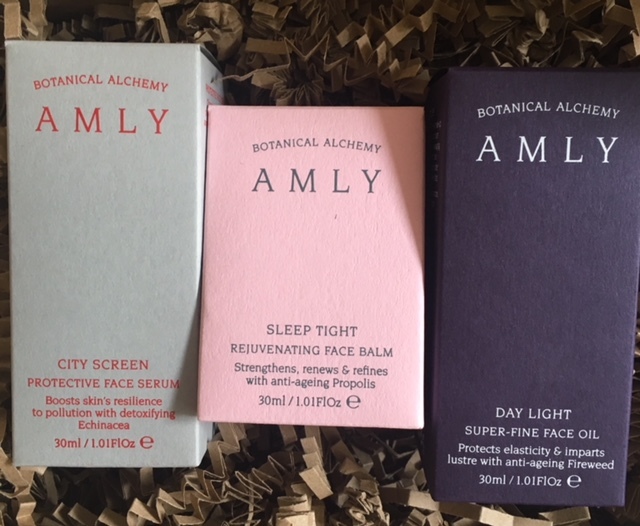 With the brand’s roots deeply planted in rural England, Amly is built on the ancient traditions of plant medicine, while also using cutting-edge scientific research to refine, adapt, enhance and improve the gifts of nature that are often taken for granted or forgotten in the digital and technological times. Lisa and Kerry believe in combining the powers of innovation when blending natural ingredients and respecting old traditions, while also ensuring that their formulations incorporate innovative bio-actives that are scientifically proven to produce real results. After all, when we buy this or that product, we do want to see an improvement in the skin or issue we are purchasing them for. 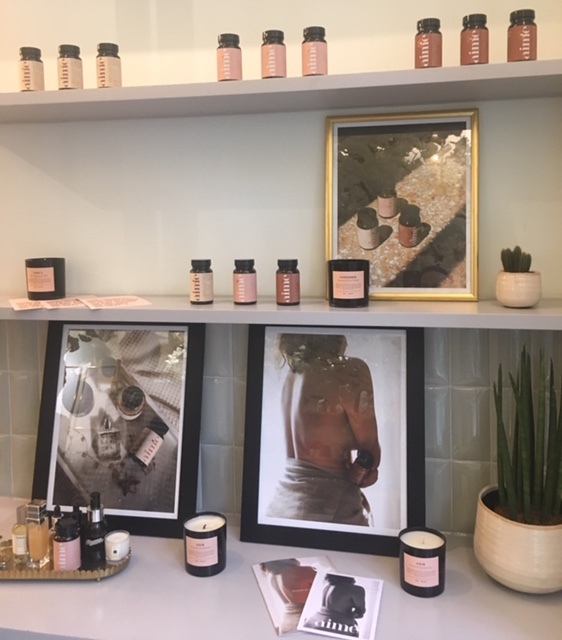 Amy’s process of product creation can be described as ‘botanical alchemy’ because it employs traditional methods to extract essential oils and hydrolates from flowers and plants that have been collected and used for centuries because of their healing properties. What Lisa and Kerry manage to do on each occasion, when they start developing a new product, is to combine botanical treasures with advanced bio-actives, which together create potent formulas that deliver consistent results not just visually, but internally to, by improving the health of the skin over time. This super light, white-coloured fluid provides powerful defence against the negative impact that city living increasingly has on our skin. In general serums tend to have higher concentrations of active ingredients that work with a specific purpose to improve this or that skin problem. Lighter in texture than moisturisers, they bring higher potency and nourishment to the skin and this particular one is a delight to apply, because of its feather-light texture and the all-encompassing scent that reminds me of Amly first mist, Radiance Boost. 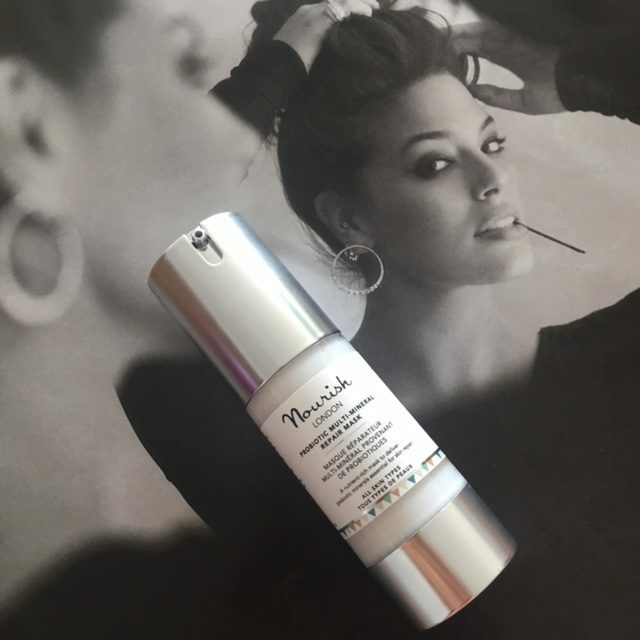 This serum was created to help boost skin’s pollution resilience, while also protecting your complexion. There is the power of Echinacea Complex that helps to detoxify and strengthen skin, while antioxidants Gotu Kola and Green Tea are blended together with Marine Compounds that help boost skin’s collagen levels. But that’s not all. There is also hydration-enhancing power of Squalene, purifying Niaouli (ingredient new to me, but commonly known as tea trees or paperbark, part of the myrtle family, which has many traditional uses, including treating colds, headaches, as well as in perfumery) and reviving White Willow that helps to clear the impurities from the skin, promoting a healthier looking complexion. I would recommend using this serum primarily in the morning, after cleansing the skin. 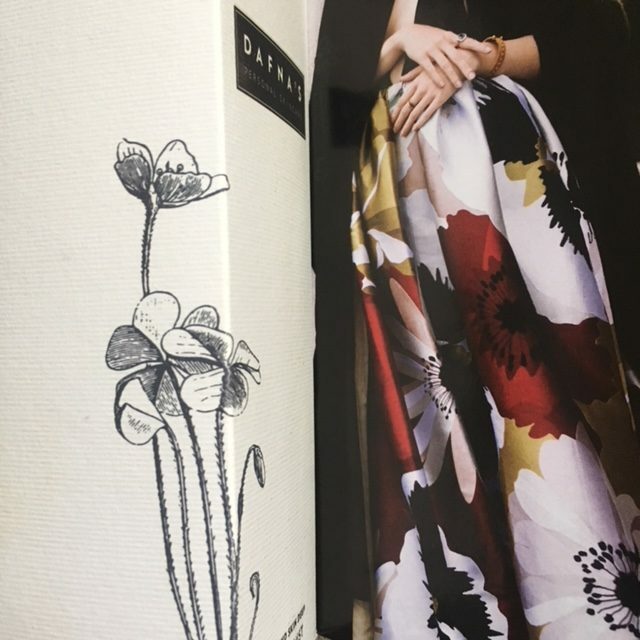 It sinks into the skin almost immediately and without a trace, leaving behind a delicate veil of scent that reminds you of the flowers and plants gently swaying in the early summer breeze. It lingers for a while and sets the mood for the day, calmly confident and content. After using it for several weeks I smile as soon as the serum comes into contact with my warm fingers, releasing the scent and a content smile on my face – something that is wonderfully special, be it rain or shine outside the window. The brow doesn’t frown and I am ready to face the day, work projects, deadlines, naughty children or a mountain of homework interlaced with cooking. What also makes this particular serum special is the multiple benefits it brings to the mantle of your skin. By boosting hyaluronic acid levels it hydrates the complexion and helps plump the wrinkles for those, who fit the older age bracket. By balancing the skin, it increases its overall resilience to stress, in part because of the improvement of the natural detoxification and repair process that our skin undertakes daily. It speeds up the repair after UVB exposure, something that as a loyal sun worshiper I have to take into account, as it is one of the biggest contributors to the ageing process. And let’s not discount the powerful cocktail of vitamins & minerals that skin drinks in like you would water on a scorching day. If you skin appears lacklustre, it will benefit from the glow that is enhanced or renewed thanks to Beetroot extract, while the healing effect of Aloe Vera (I have put this serum to the test during my beach holiday and didn’t have to apply Aloe Vera gel that sometimes I have to after a prolonged sun exposure). Last but not least, there is also the extract of Lavender, with its deeply rich scent and bacteria-inhibiting benefit to the skin prone to spots and blemishes. One potent serum, wouldn’t you agree? Or feather-light complexion protection superhero – either of those two descriptions are perfectly suited to the contents of this dark glass bottle. Top Tip: Apply to face and neck after cleansing the skin with the upward motion. 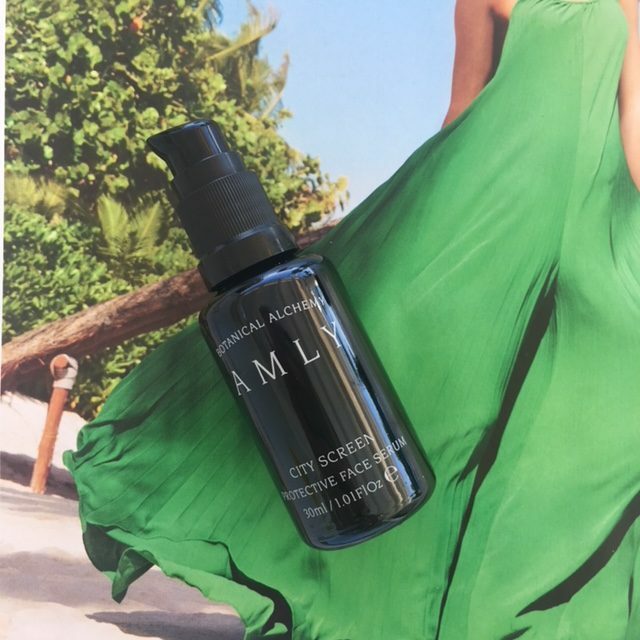 For increased detoxing and skin-protcting effect, use after Amly Digital Detox Face Mist (keep it in the fridge in the hot months to give skin a hydrating boost when it needs it). Suitable for all skin types, including blemish prone. 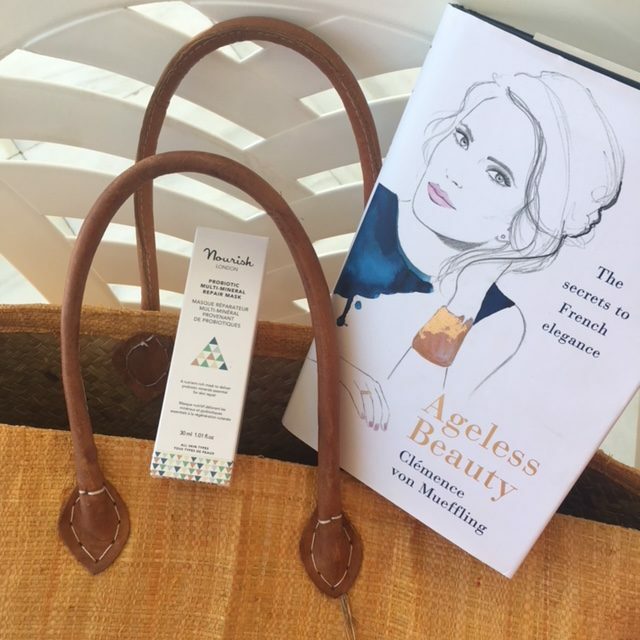 Having recently read Clemence von Muffling ‘Ageless Beauty’ book, I came across a great saying that really distills the essence of why every woman should have a mask in her skincare arsenal. ‘The difference between good skin and great skin is masking. Doing an intensive treatment at least once a week takes your skincare routine to the next level’, according to Detox Market‘s co-founder Romain Gaillard. This is something that I tend to agree with, rather than with Caroline Hiron‘s recent Red magazine editorial, where she says that she has fallen out of love with masks. If like me, you do like masking for all the right reasons, then recent launch from British natural skincare brand Nourish London, Probiotic Multi-Mineral Repair Mask, is definitely worthy of attention. This mask first came into my field of vision during the exhibition at Excel in April and I got to talk about its merits with Anne Hahlo, one of brand’s most knowledgable team members. I ‘played’ with the tester, smelling it and applying it to my hands, but properly started testing it on my face from the latter part of June, when the heatwave hasn’t yer reached the British shores. Now, having used it throughout the heatwave, as well as in the hotel bathrooms in France and Spain on my summer travels, I can share the knowledge and tips that you might find useful in your skincare routine as well. 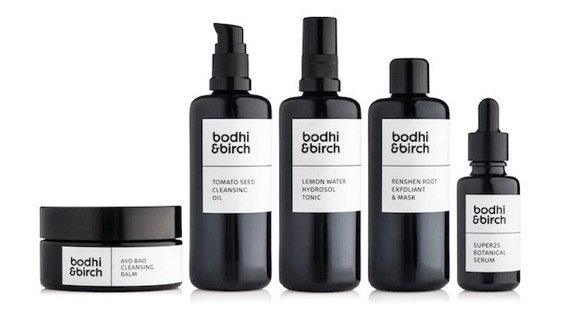 Having been a fan of aromatherapy for years, Bodhi and Birch bath and shower therapies fall into a deeply cherished category of products for me. Elijah Choo, brand’s founder, also has an uncanny ability to surprise and intrigue me with his creations, so I was curious to participate in his focus group during the development of the five new products in the Superfood Series, a face care line that Elijah challenged himself with developing, as none of the five products contain essential oils ….something that the brand is known and loved for. The five products were released into the world in May of 2018, with the accessories – bowl, cloth and brush, to be released later this year. I tried and tested all five products, the Avo Bao Cleansing Balm, Tomato Seed Cleasning Fluid, Lemon Water Hydrosol Tonic, Renshen Root Exfoliant & Mask and Super25 Botanical serum. By the end of the testing process I was drawn to the two in particular, even though one had notes of an ingredient that I don’t normally like and another was a mask in the form that I normally don’t favour. But as I said earlier, Elijah is a master of invention and surprise and one of the few beauty brand founders that manages to change my mind effortlessly. 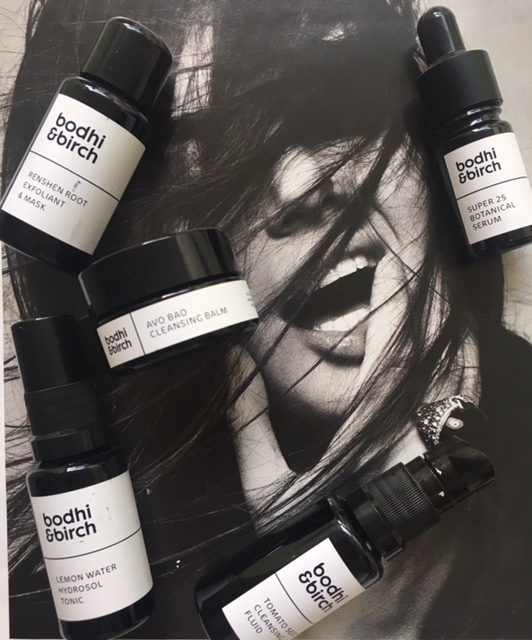 When Elijah started Bodhi & Birch, his vision was at times influenced by the comments of those people he trusted, but in time he came to realise that it was important not only to have his own vision, but to follow it consciously. Listening to customers feedback has always been and will always be important to Elijah, but trusting your gut should never be discounted as an important component in running a successful business. In the last couple of years Elijah seems to have refined his vision and decided to go forward trusting his way, being very clear about what he wants professionally when it comes to his brand that has always been and will always remain geared towards its consumers at the core. At the time when the prices, as well as the number of ingredients going into beauty products seems to be climbing, some indie brands choose to stay accessible & make a positive impact via low numbers when it comes to list of ingredients. Mallow and White is a British beauty brand that has been winning hearts of customers, bloggers and beauty-award panels, yet it is run by one woman, Joanna White, who carves out creative time, while raising a family and looking after elderly parents, finding happiness and joy in each of her life’s chapters. While I love music in all of its forms & listen to it at home, when walking or travelling, I somewhat tend to ‘rebel’ against it during the yoga or meditation practise, preferring the combination of stillness & silence instead. Having said that, there are always occasions when keeping an open mind leads to a discovery that can be overwhelming in its soulful depth & recent presentation of Soul Medicine by Denise Leicester, founder of Ila, managed to leave all of the attendees in a blissful state of trance. Soul Medicine is the culmination of something Denise has been working on for over a decade. Music & singing has always been central to her life & work and after years of developing treatments for Ila, she has become increasingly fascinated by the healing elements of naturally-tuned music. Since ancient times music’s ability to heal has been widely recognised & accepted. Soul Medicine, vibrational remedies through the medium of music, is a heartfelt collection of meditative pieces, developed on the tuning methods (432Hz, a ‘beat of our planet’, rather than conventional 440), that are themselves based on specific sonic frequencies that occur in nature. With regular listening you can expect to have decreased stress levels & a boosted resilience to the hectic pace of life, as the music that Denise created with her wonderful team of talented musicians embodies the ‘frequency of harmony’. On 10th May, thanks to Denise & her team, I was able to experience a concert unlike any other. Hosted at Fitzrovia Chapel, a hidden jewel in the centre of a busy city, it offers a serene place for reflection & holds a very special place for Denise. The chapel used to be part of the now demolished Middlesex hospital, where Denise used to work as a nurse. At times of heartbreak, loss & exhaustion, she used to come to the chapel with her patients, as well as on her own, so assembling her friends, colleagues & members of the press at Fitzrovia Chapel to launch her very personal new project into the world had a particular meaning. 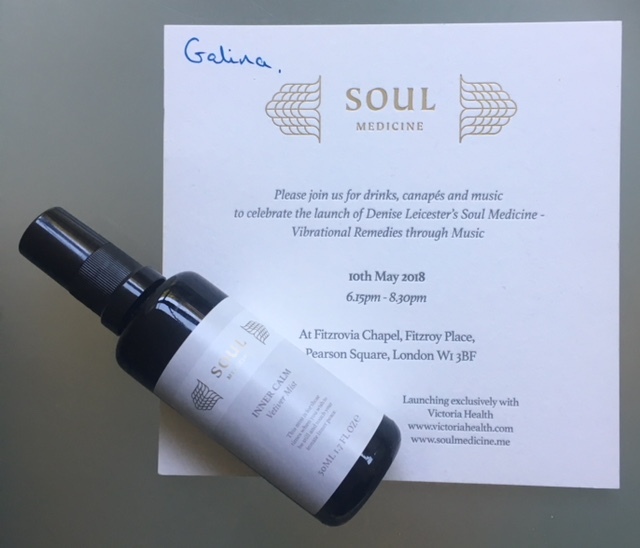 Along with Dr Zulia Frost, Denise explained to us how 432Hz frequency works & her purpose behind Soul Medicine, a new platform for music, which combines the powers of science & soul & offers a profound positive effect on the nervous system. Hearing sound is one of our primal senses – the first developed in the womb & the last lost when we die. Sound can relax, alert, soothe, inform & transport us. Building on this understanding, Denise created Soul Medicine in collaboration with composer Tom Simenauer, to promote wellbeing & cellular balance simply by listening to the 432 musical pitches. She ‘tested’ it on Ila therapists who not only liked the music, but felt ‘supported’ by it, while administering treatments to the clients. She tried it during one of her charitable talks with women who have faced vast adversity in life, including physical & substance abuse. What was supposed to be a five or ten minute talk in front of a somewhat hostile & cynical audience, turned into an hour-long one, after which women looked & felt completely different, as through music they managed to re-connect to their inner power of self-nourishment. Denise’s vibrational remedies were inspired by the beauty of vulnerability & just being in the moment in time, instead of racing from A to Z. When it comes to washing our faces, we all have different preferences. Some just use their nimble hands. Some love their Clarisonic, others prefer Foreo. 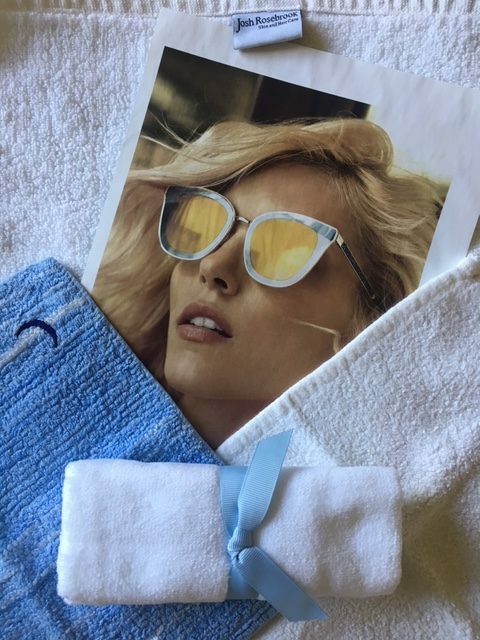 But there are also some of us who love face cloths, muslins & towels to enhance the cleansing part of daily skincare routines, so I thought I would share the ones that I love. One of my first cleansers was the now iconic Liz Earle’s ‘Cleanse & Polish’, which came with a face muslin cloth. As I delved into exploring the world of beauty, I tried Clarisonic when it was newly launched, but after using it regularly for the first month or two, I found that with time I used it less & less. In the end I passed it on to a friend, who wanted one. I continued experimenting with face cloths. Then Foreo arrived on the scene & I still use it from time to time. I also like Sarah Chapman’s Facialift, but it’s more of a facial massager, then a cleansing tool. I also use The Hayou Method jade Beauty Restorer for the face, alongside a cleansing balm or oil, as I find that it enhances the efficacy of cleansing and boosts the circulation, so my skincare can work more effectively. Having said that, I still am very enamoured with a simple face cloth & below are a few of my absolute favourite ones, some old, some recently discovered & incorporated into evening skincare routine. Costing only £5, it is not large, nor too small. Soft to the touch, it is made from 100% organic & sustainable bamboo fibres, so it will work hard & well for you for a long time, only getting softer in the process. Bamboo is also known for it’s anti-bacterial properties, so using it on your face, neck & decollate ( don’t forget to wash it after each use ! ), this face cloth will make sure that you don’t spread bacteria that can lead to spots. Generously sized, the cloth is double-sided, offering you a perfect tool for enhancing your cleansing routine. A fine-weave muslin on ‘one’ side will help to exfoliate your skin delicately, helping to get rid of dry or congested areas, lift away impurities & dead skin cells & increase skin’s ability to absorb skin nutrients & maintain it’s protective barrier with regular use. 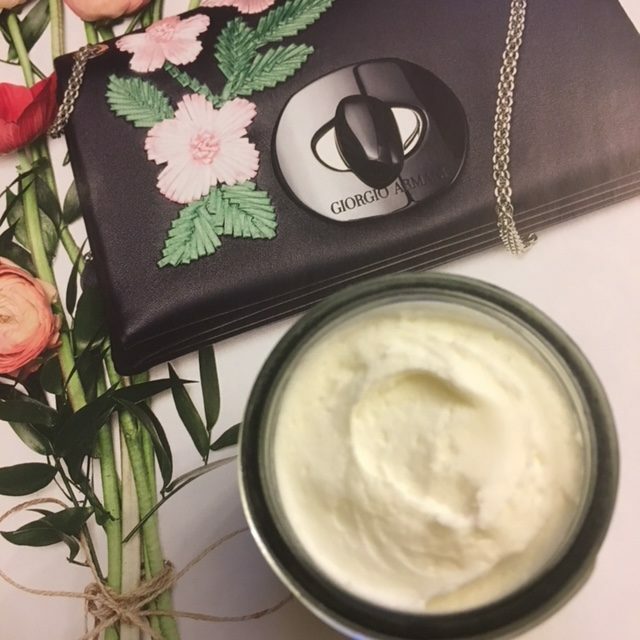 A 100% soft cotton velour ‘second’ side will smooth the skin, especially when you use it alongside a balm face cleanser, like Annee’s Restorative Cleansing Balm. A simple cloth, yet so thoughtfully & lovingly created by a woman who knows fully well that women deserve & appreciate practicality with an element of luxury when it comes to looking after themselves. Precious moments of calm enhanced & magnified in the privacy of your bathroom, eliciting a contented smile. 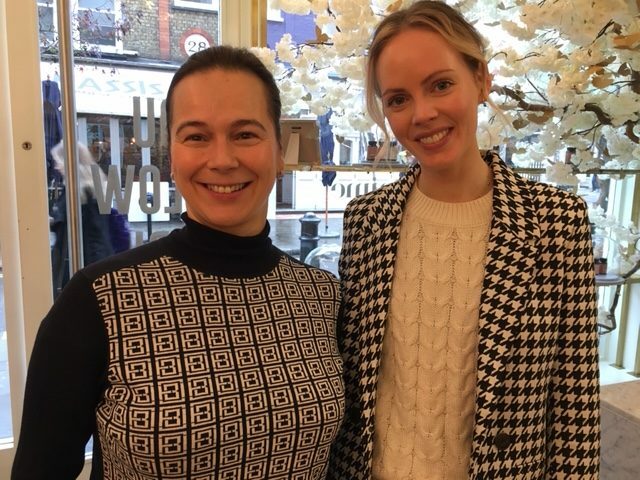 After sharing insights into Skin Owl and introducing Annie Tevelin to those of you who weren’t familiar with her work before, I thought I would jump right into sharing some of my insights into Skin Owl products that Annie kindly gifted me, as well as the others that I purchased from Cult Beauty, brand’s main UK retailer for the time being. This product replaced Annie’s first product Beauty Drops, that was very much loved by women around the world. As I mentioned in my previous post, Annie was honest with her customers and followers, telling them about planned product change that was in the works, as well as the reasons behind it. It is something that some of the other brand founders can learn from, instead of instantly taking a product off the shelf with no prior warning or explanation. In my experience disengagement from loyal consumers that support the brand from the beginning can be a very costly mistake. Annie developed this product with all skin types in mind, from oily prone to breakouts, to mature that needs extra hydration. Maqui Beauty Drops contain antioxidants & phytochemicals that neutralise DNA – damaging free radicals, thus reducing cell damage. With regular use you will hopefully notice dull skin become visibly radiant, congested skin will become clearer and uneven texture and tone will visibly improve for the better in time. It also promises to tighten & reduce pore size, as well as calm irritation and redness. Maqui Berry Drops have antimicrobial & antibacterial properties. Depending on your skin’s needs, apply five to seven drops after cleansing to your skin in the evening, instead of your usual serum or moisturiser. Inhale the fruity, uplifting scent and turn your evening skincare application into a mini-beauty ritual, massaging the tension out of your face. When formulating her products, Annie makes sure they don’t contain synthetic fragrance, parabens, ethoxylated ingredients and each formula is cruelty-free & vegan (interestingly, just as I was editing this post, I received an e-mail that contained information about Naturissimo launching a ‘vegan’ section on their website). For those of you contemplating swapping your mainstream beauty brand, like Kiehl’s Midnight Recovery Concentrate, this product is a good option, as recommended by Annie and her team. Maqui Berry Drops ‘pairs’ well with the Beauty Whip, which I will talk about in more detail below, as well as any morning/daytime Beauty Drops, like Lavender, Geranium or Clary Sage ( I have a particular affinity with Lavender Beauty Drops and sometimes cheekily use Maqui Berry in the morning and Lavender drops in the evening, but as always, this is down to individual and skin type preference). In terms of ‘key ingredients‘ in this formula, you have Maqui Berry Oil, Omega 3,6 & 9, Vitamin A, D, E & K, as well as Tangerine & Vanilla essential Oils. Annie chose them for their nourishing and healing properties, as well as ability to boost collagen production and slowing down premature aging of the skin. You can also count on them to calm, reduce inflammation, moisturise and decongest the skin, so the formula is quite versatile for different skin types, as well as ages to which it caters. The pale, almost translucent colour of this oil opens up on your warm skin and delights the senses with an uplifting scent of orange groves. The ‘rich’ texture sinks into the skin within seconds, leaving behind smooth, more supple skin, but also allows you to massage your face and neck without dragging or pulling of the skin. For me it is definitely a face oil that stays on the beauty radar, rather than disappears from it. Ingredients: Raw, organic, cold-pressed African Adansonia digitata (Baobab) Oil, pure Aristotelia chilensis (Maqui Berry) Oil, Vanilla planifolia (vanilla) Co2 extract, Citrus reticulata (tangerine) oil. I first tried this product a few months ago, through my Beauty Heroes subscription box, where it played the role of a helpful ‘side-kick’ to the Beauty Drops. While it is primarily a mask, I enjoyed using it most as a primer before make-up application, as I found it not only ‘primed’ the skin, but also allowed the make-up to ‘stay’ in place for a bit longer than usual, which is a bonus when you don’t want to, or have the time to re-apply your make-up during the day. According to Annie, this product is a three-in-one – ‘a face mask, makeup primer and Beauty Drops booster’. This gentle, creamy skin-drenching mask is boosted with ace hydrators like Hyaluronic Acid, Organic Olive and Jojoba Oils, plus antioxidant-rich Patagonian Maqui Berry, Organic Rooibos, toning DMAE and smoothing MSM‘. The way to use it is to mix one pump’s worth with any of Skin Owl’s Beauty drops, this way is will act as a moisture booster and make-up primer. If you want to use it as a mask, then cleanse your skin and apply a thin layer of the Beauty Whip, avoiding the eye and lip area, and leave it on for up to thirty minutes. Due to its light texture akin to moisturiser, it sinks in, so you can get on with doing things around your home, without scaring your friend, roommate or family member away. You can also leave it on overnight and rinse off in the morning, following it with the application of the Beauty Drops of your choice. It really is up to you how you want to use it, so try it in a variety of ways and find what suits you. Tip: once in use, keep Beauty Whip in the fridge, for extra plumping and de-puffing benefits. It really perks the skin up with its cooling sensation. If you are looking for swapping for a more natural formula, than this product can be a suitable alternative to ‘Fresh Black Tea Instant Perfecting Mask’ & it pairs well a soothing Eye+, as well as Lavender, Geranium, Clary Sage and Maqui Berry Beauty Drops PM. I have been a somewhat reluctant to join in recent excitement about the re-emergence of face steaming, as my childhood experiences of steaming over garlic water or Vicks, when I had colds, left an imprint of a sweaty face and a sense of boredom. Having said that, I have done face steaming with fresh herbs in the past and in the right circumstances (when I am in the sauna, for example) and provided your skin isn’t easily aggravated by steam, like skin prone to rosacea, it makes for a wonderful experience in the colder months of the year. Annie created this combination of herbs, which includes lavender and rose buds, as a special treat for Valentine’s Day, offering women some extra moments all to themselves. It’s not often we get to enjoy some peace of the ‘me time’ and the precious moments of silence and reflection that come with it. I actually added it to my bath water, to which I added some milk as well, a la Cleopatra, and had a dreamy time listening to my favourite tunes, all by myself. Alternatively Annie shared her tip for face steaming: provided you haven’t dripped your sweat into the bowl, using a sieve and then drink the warm steam water as a soothing cup of tea, which helps you be more open-hearted when it comes to matters of the world. Longer breaths, calmer mind, happy tummy and complexion. That’s what I call a beautiful multi-tacker.